I love all your great cards, they're so inspirational. Some day I will be able to stamp like you! LOVE this! It is so stunning! 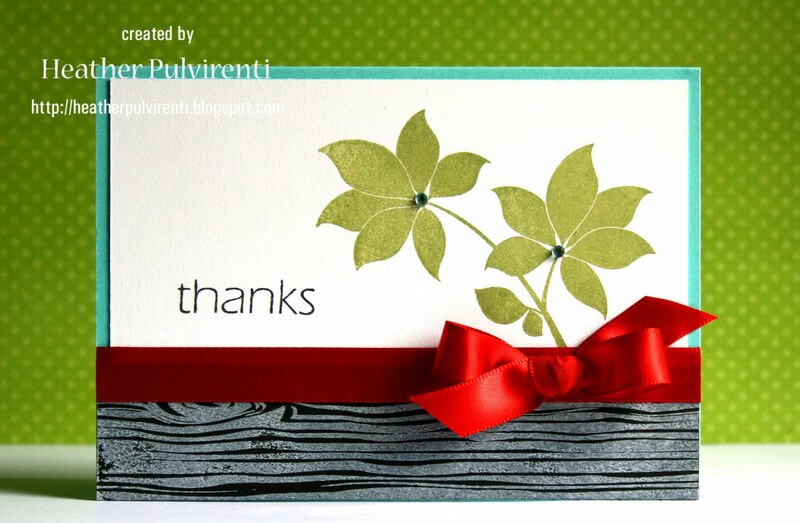 Those colors together with the b&w woodgrain and the red bow...wow!! Very pretty! This card is so elegant looking and beautiful. The woodgrain is such a good texture with your leaf image. I don't have a wood grain stamp and this card is so fabulous it has just moved up on my list of must haves! I love this. every element is spot on! I've never seen that leave stamp before but I really like it. My favorite cards are usually CAS.